The CGIAR Collaborative Platform for Gender Research hosted the webinar “More than a seat at the table: Strengthening women’s tenure and rights to forests and trees and their participation in decision making” on Thursday February 8, 2018. The webinar was organized in collaboration with the CGIAR Research Program on Forests, Trees and Agroforestry (FTA) and the Centre for International Forestry Research (CIFOR). This webinar presents an approach that has proven effective in not only strengthening women’s rights to forests and trees but also in placing them at the center of forest decision making alongside men. Adaptive Collaborative Management (ACM) is an approach where stakeholders who share an interest in a common natural resource agree to act together to plan, observe and draw lessons from the implementation of their plans. The first part of the webinar presents the results of a situation analysis conducted in 18 communities in three districts in Central Uganda. The purpose of this analysis was to establish men and women’s use and management of forest resources, and to understand how community forestry decisions are made and by whom. The situation analysis also considered how forestry (and related) agencies implemented policies and explored the barriers that constrain implementation and the factors that enable implementation of gender-aware policy and law. 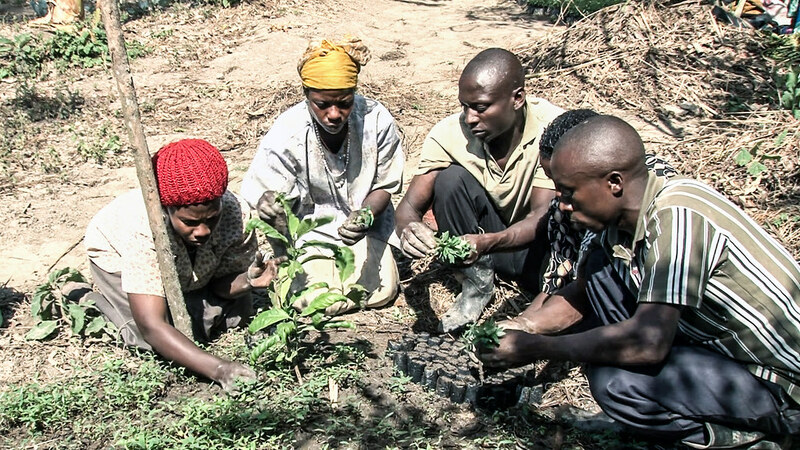 The second part of the webinar presents the Adaptive Collaborative Management approach and its application among six randomly selected adjacent forest communities in three districts in Central Uganda. The webinar goes on to introduce the ACM framework and activities implemented by communities under it. Finally, the outcomes of ACM implementation, main challenges and pathways through which outcomes were achieved are discussed. Gender bias generated through cultural norms and practices is among the most common impediments to women’s rights to forests and trees and to getting their share of the forests and trees’ benefits. Customary norms regulate land and resource rights in many parts of Africa and studies have shown that such norms permeate into formal decision-making arenas where they constrain the implementation of gender equitable statutory provisions. This is particularly evident in Uganda’s forestry sector where policy explicitly states intention to secure women’s rights to forests and trees and to tackle gender-biased attitudes. Earlier studies showed that at the local level customary norms were a major constraint to the implementation of these statutes, alongside budgetary constraints, lack of gender skills/knowledge and lack of a critical mass of gender-responsive personnel in various levels of government. The nearly six year-old ACM implementation resulted in increasing women’s participation in decision making and in leadership in mixed men and women community forestry groups. Women’s tree planting (both on farm and on degraded forest land that was allocated to them by government) also increased. Several factors were found to be important in enabling gender transformative outcomes: the involvement of men, the provision of a safe platform for women to express themselves, exposure through exchange programs, leadership training for both men and women, capacity building in various enterprises (e.g. tree nursery establishment, fish farming, village banking) and support from collaborating government agencies and NGOs. Esther Mwangi’s research has focused on understanding property rights and tenure from different angles and identifying policy and practice options for securing tenure rights. Her work began with establishing the drivers of property right transitions among pastoral communities, identifying internal and external processes underwriting change and determining the distributional outcomes of such transitions. More recently Esther’s research has focused on understanding forest tenure reform implementation – and in particular the factors that hinder or enable reform implementation – as well as the impact of reform implementation on the tenure security of local communities. Mwangi has integrated gender as a critical component of this recent work, e.g. moving beyond diagnostics to actual working with men and women to identify opportunities and implement actions for resolving self-identified problems. Over time, our webinar discussant’s interest has expanded to the interface of knowledge and action. Mwangi is particularly interested in experimenting with approaches that foster this integration at different governance levels.